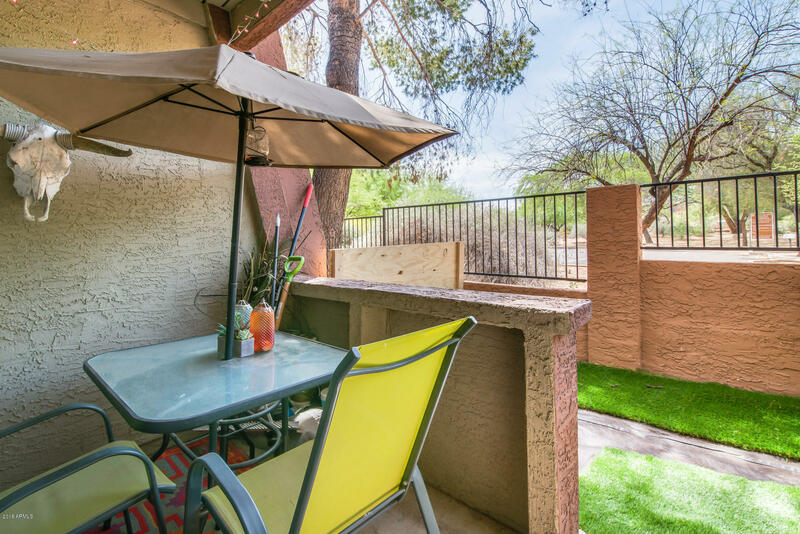 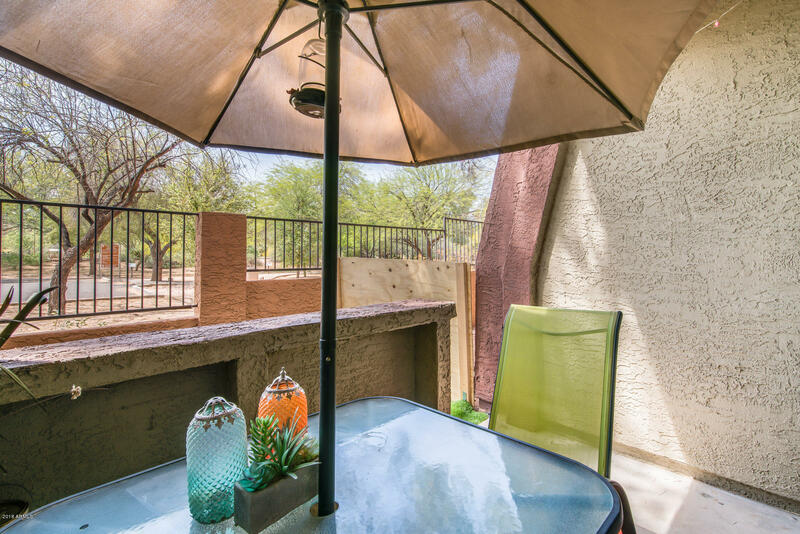 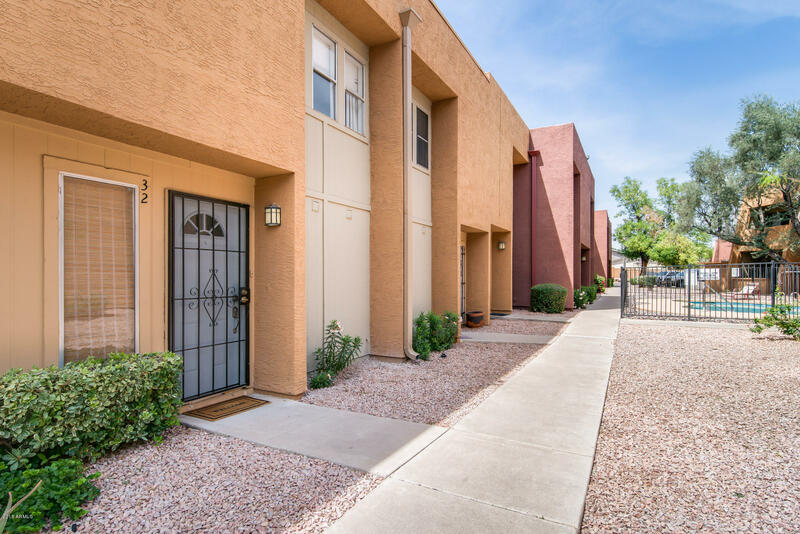 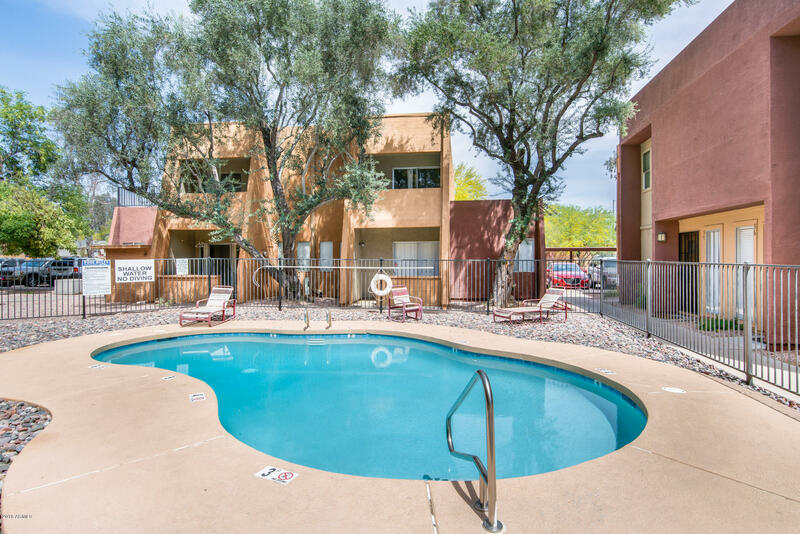 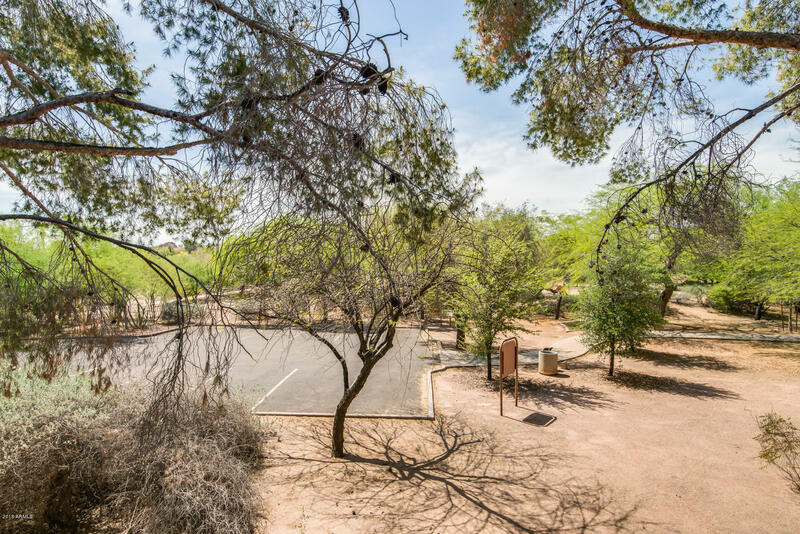 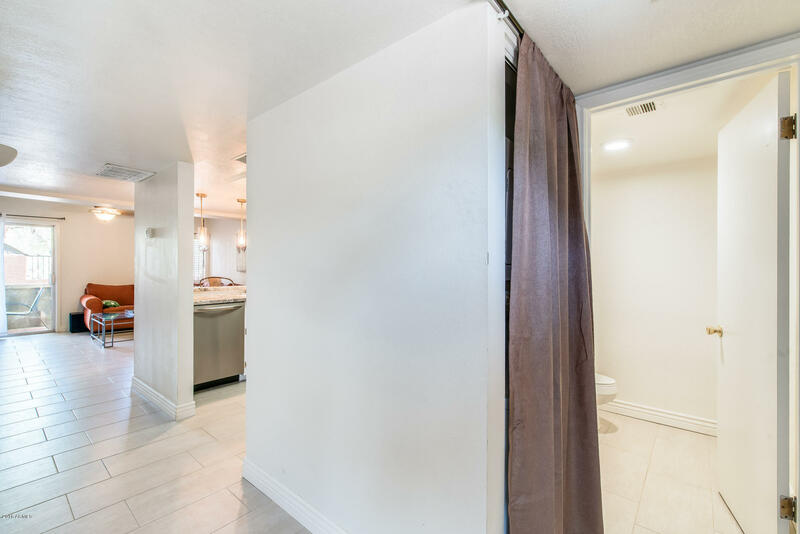 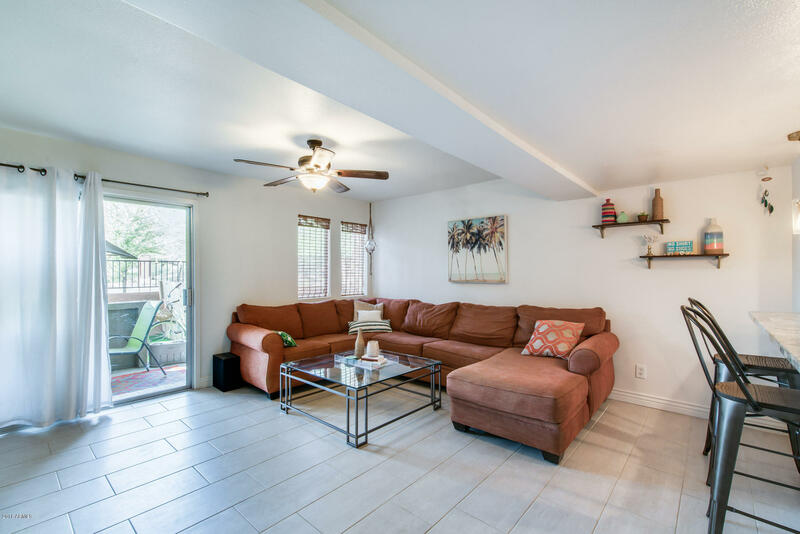 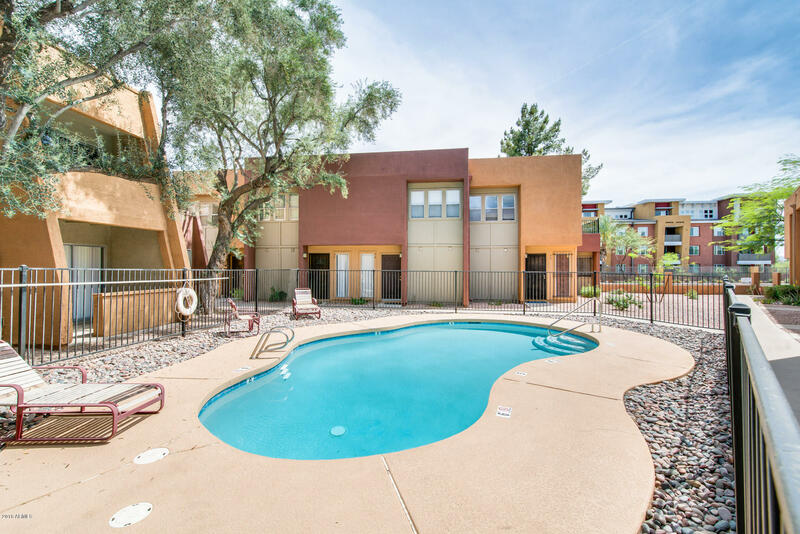 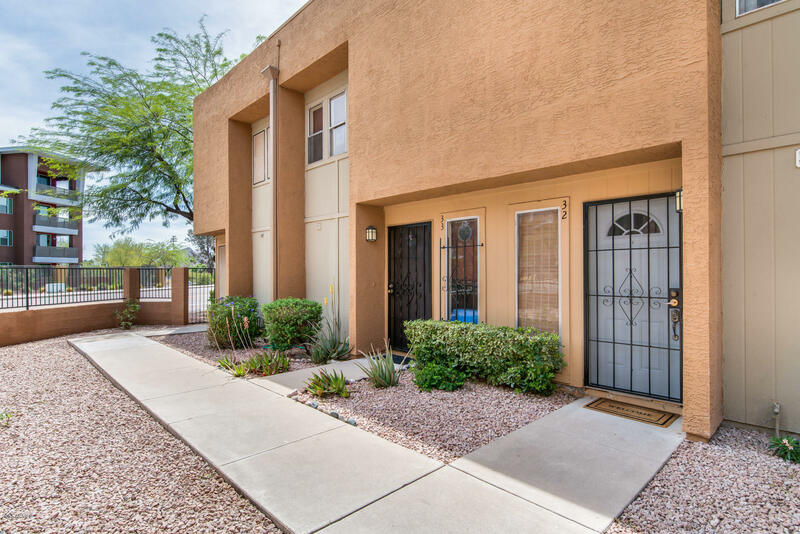 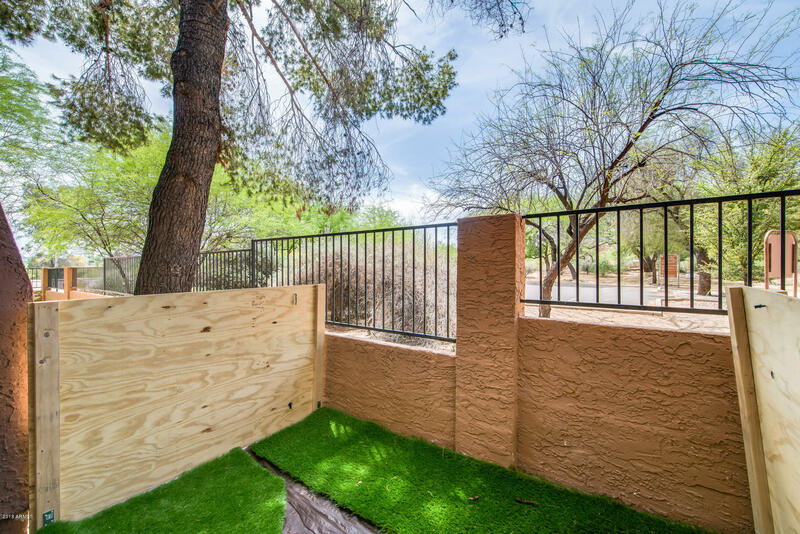 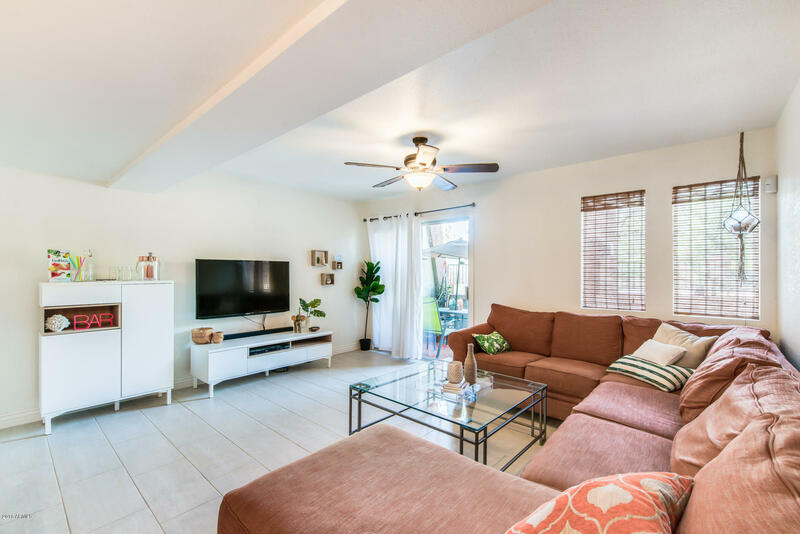 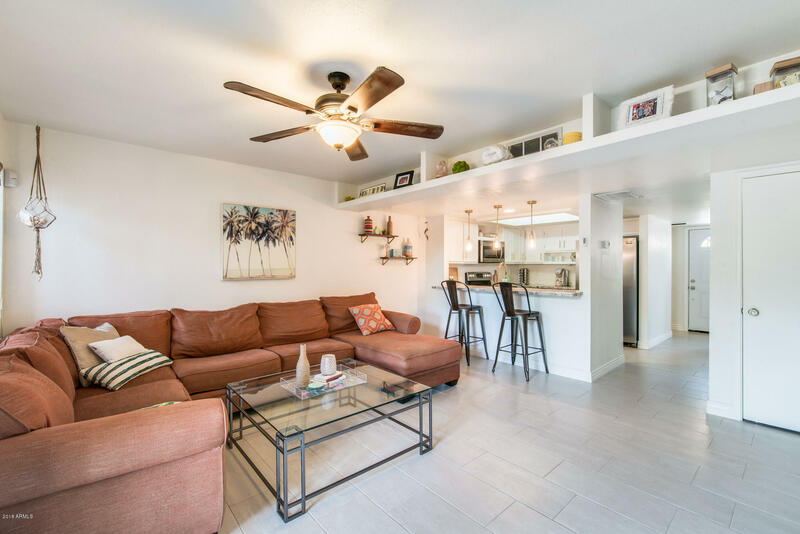 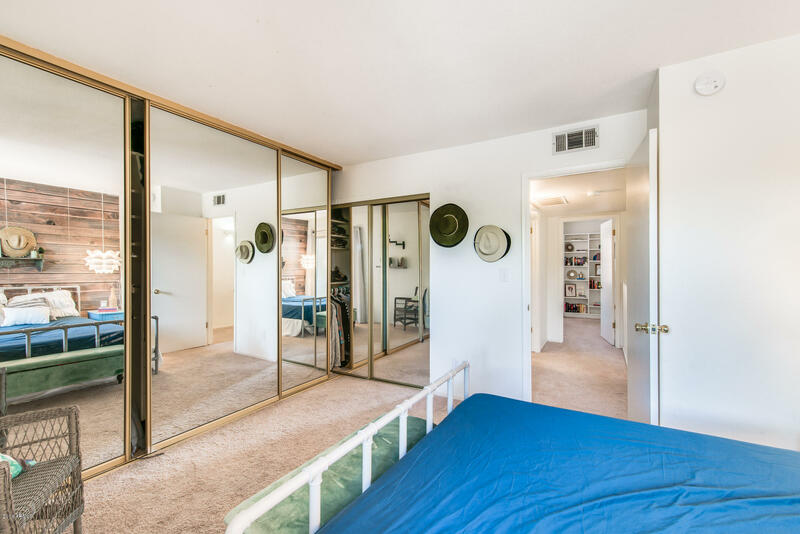 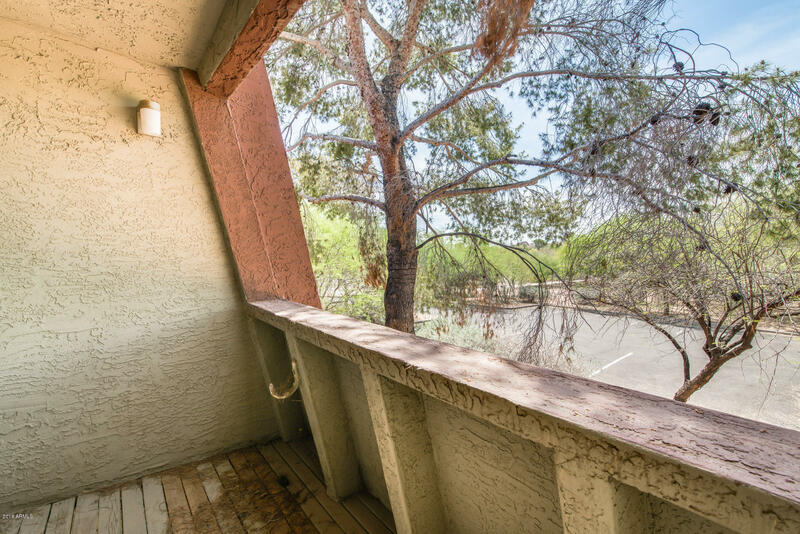 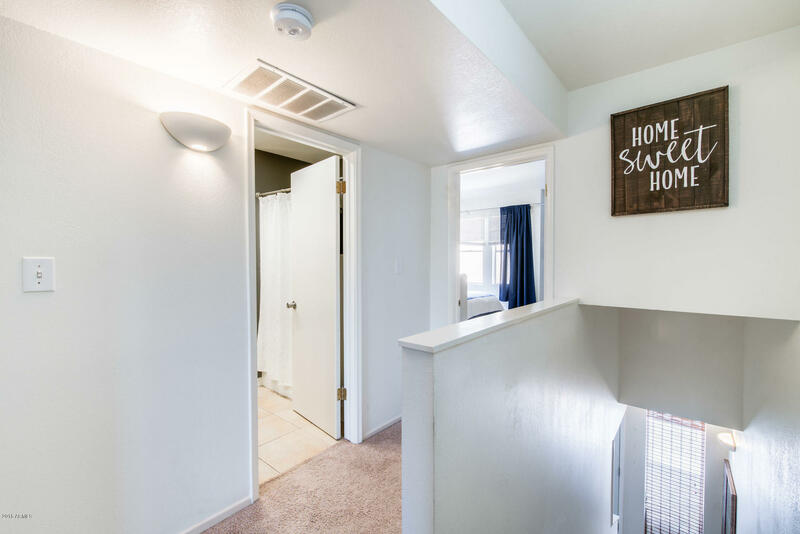 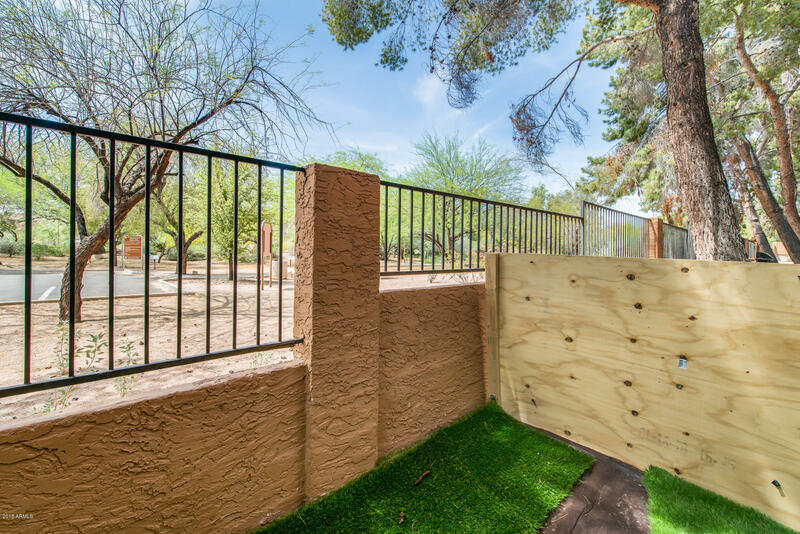 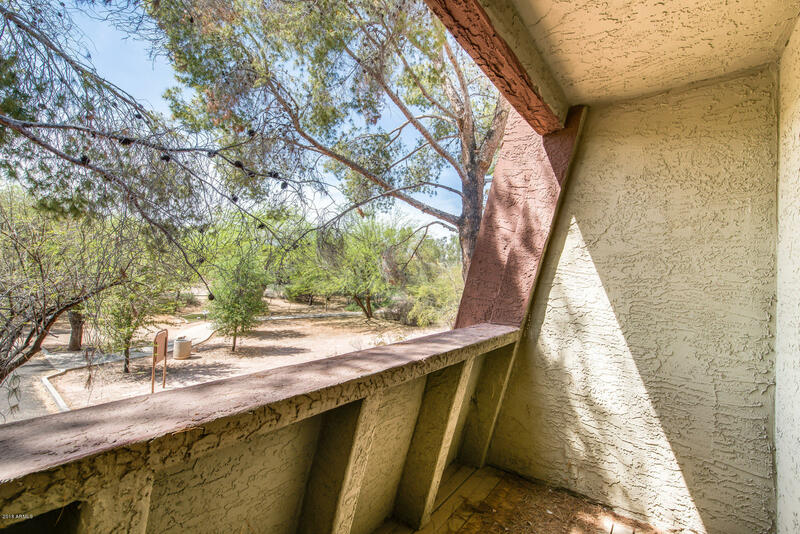 Beautiful two bedroom, one and a half bathroom Tempe Townhouse!! 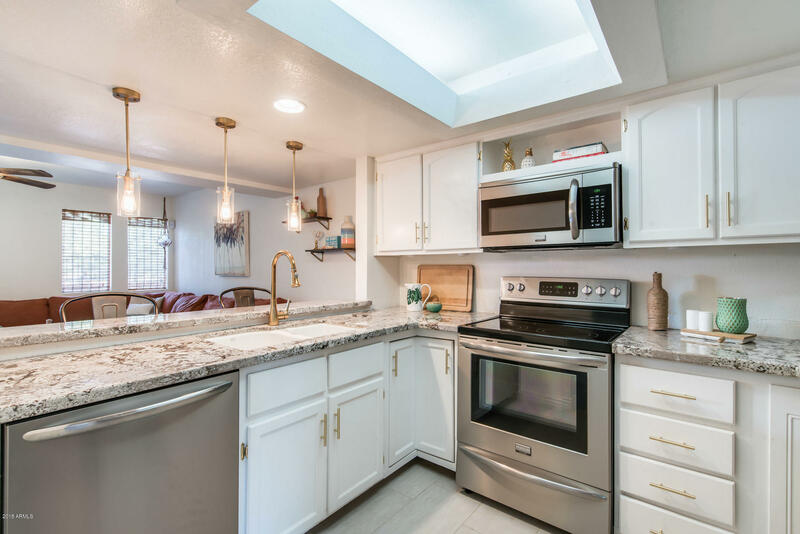 Light and bright, this charmer is move in ready! 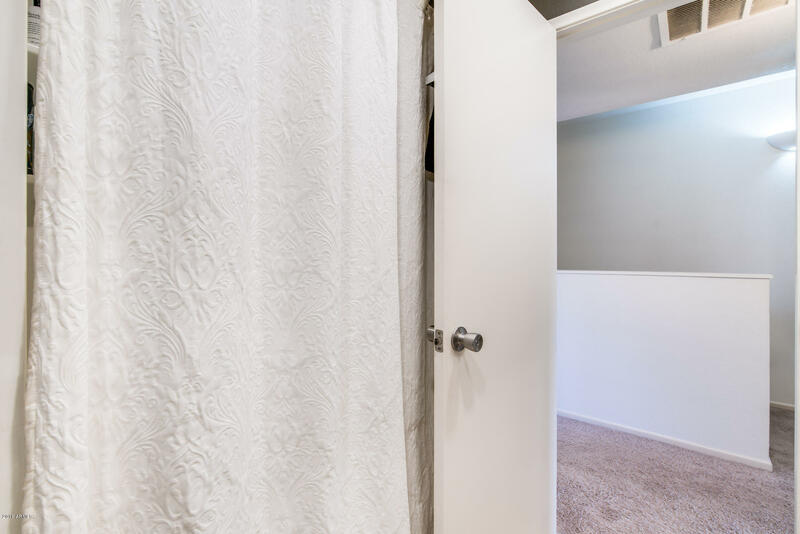 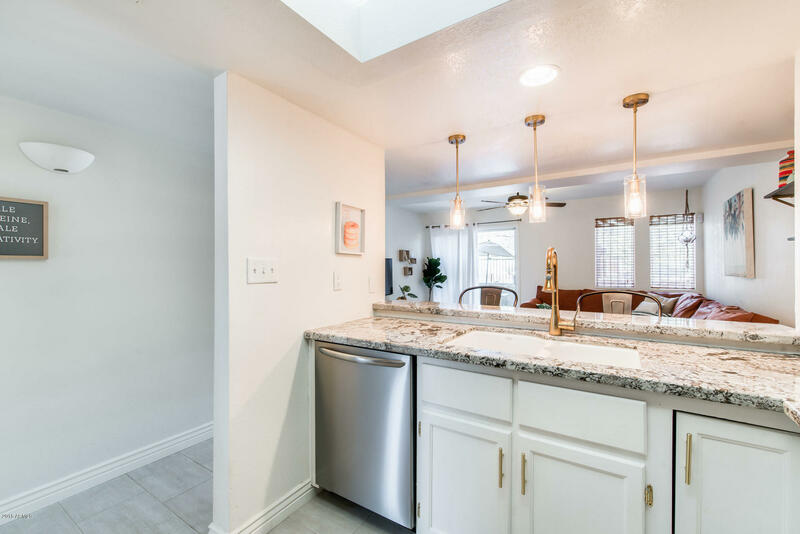 Walk in to tile flooring, natural light, and an open flow concept. 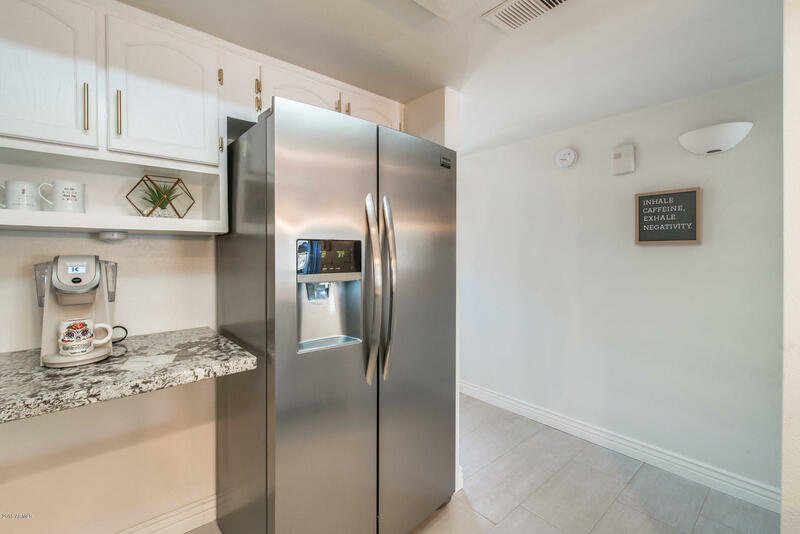 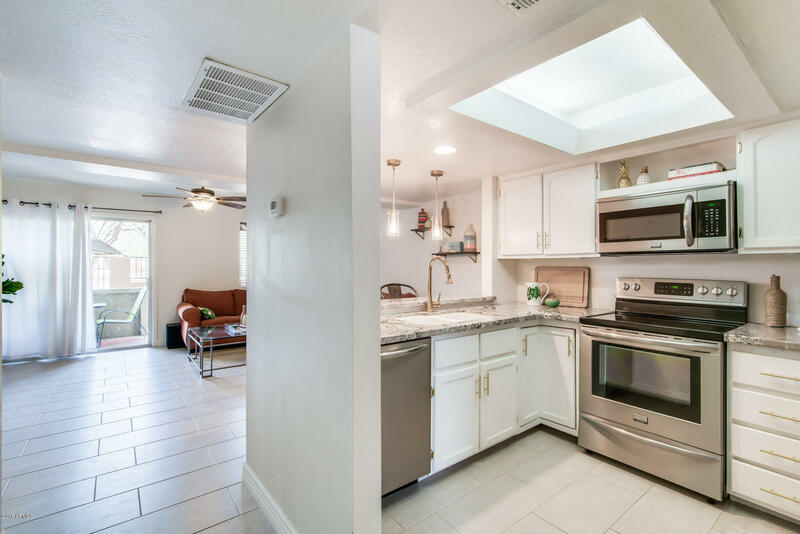 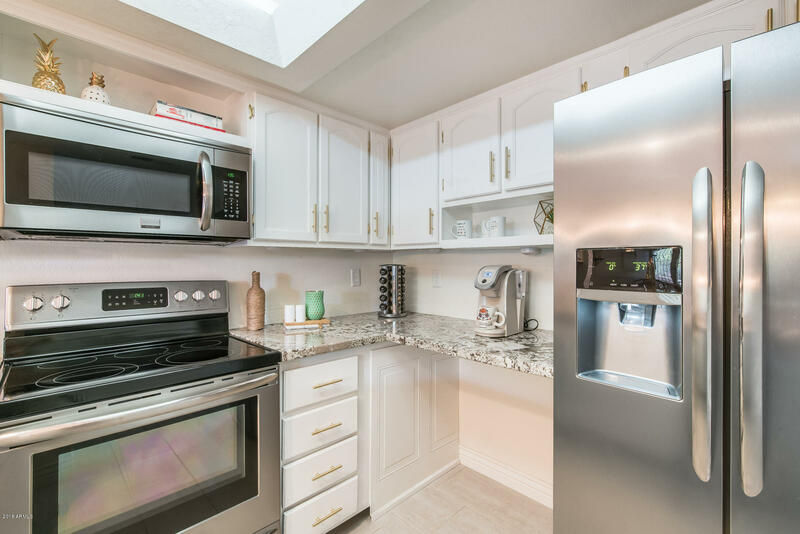 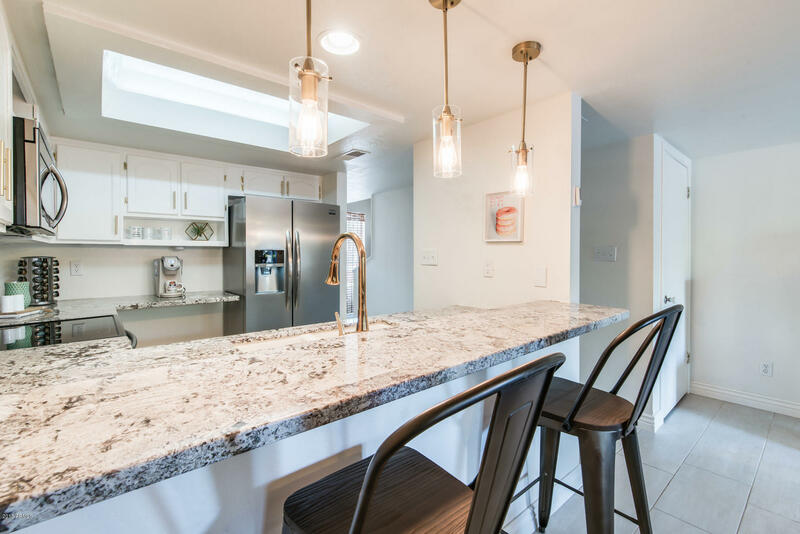 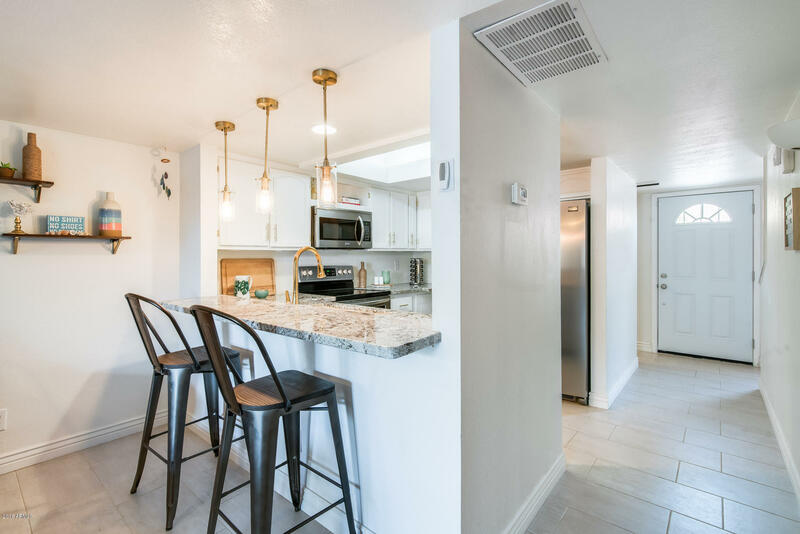 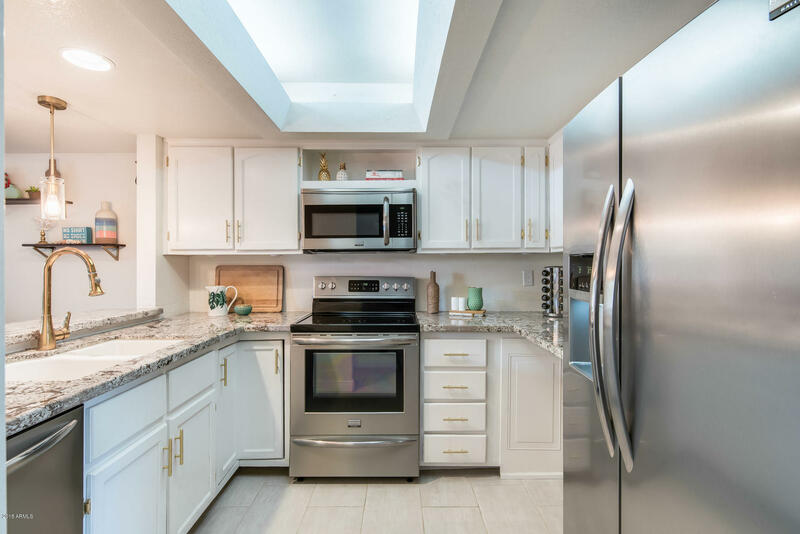 The kitchen offers gorgeous granite counters, wood cabinetry, stainless steel appliances, and fun brass fixtures. 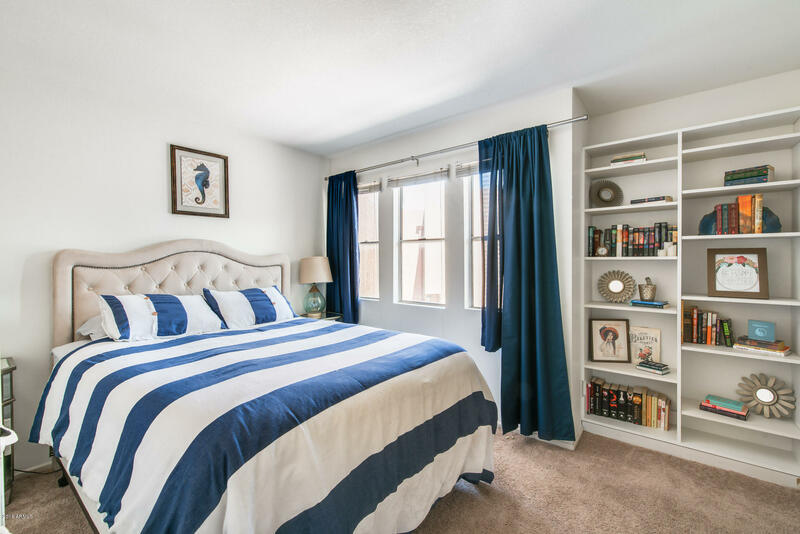 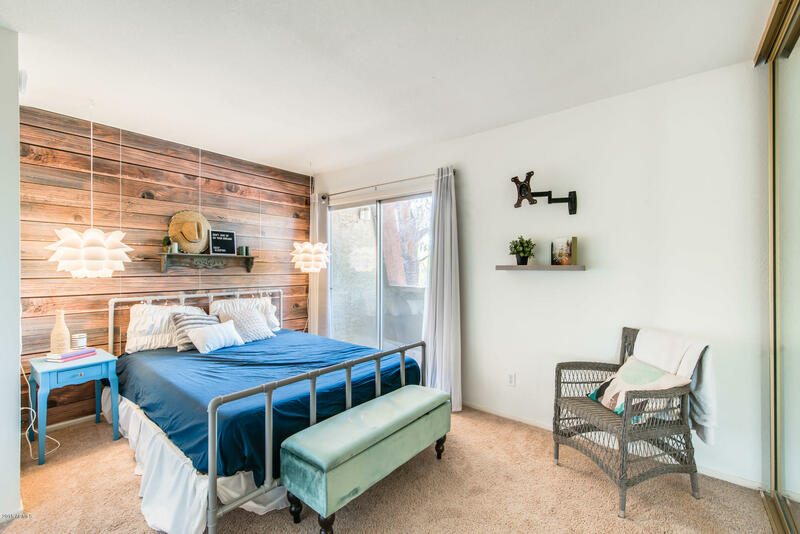 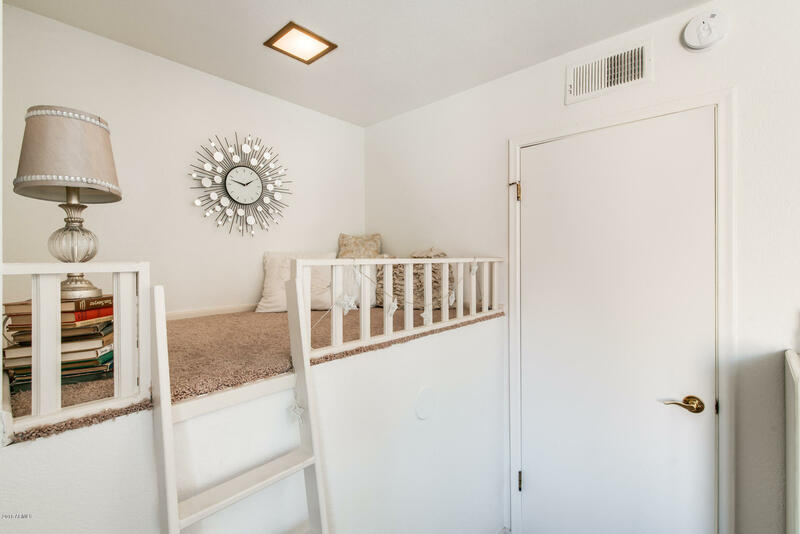 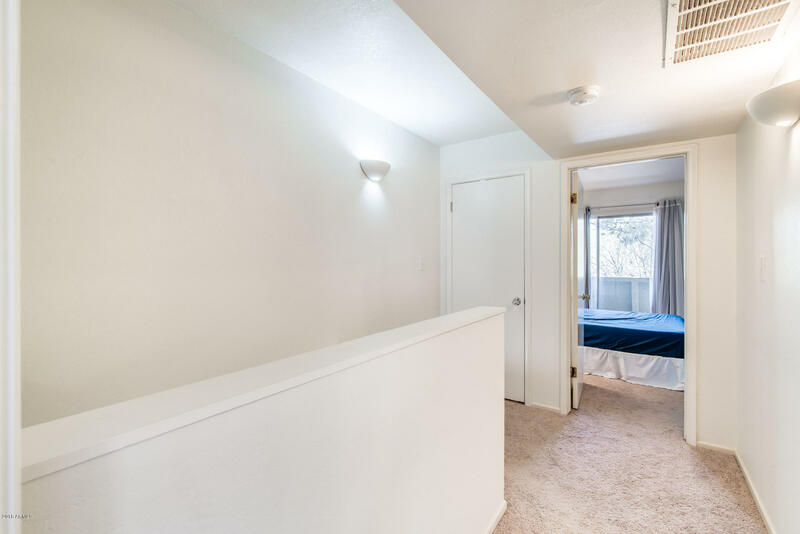 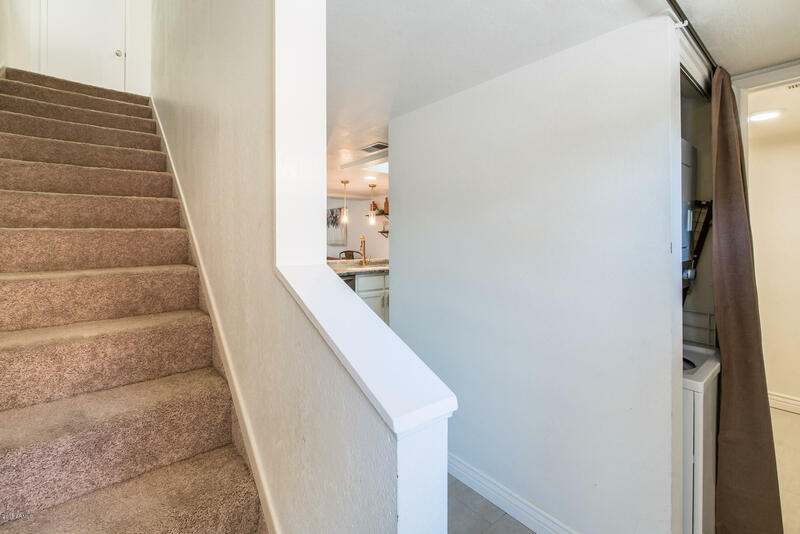 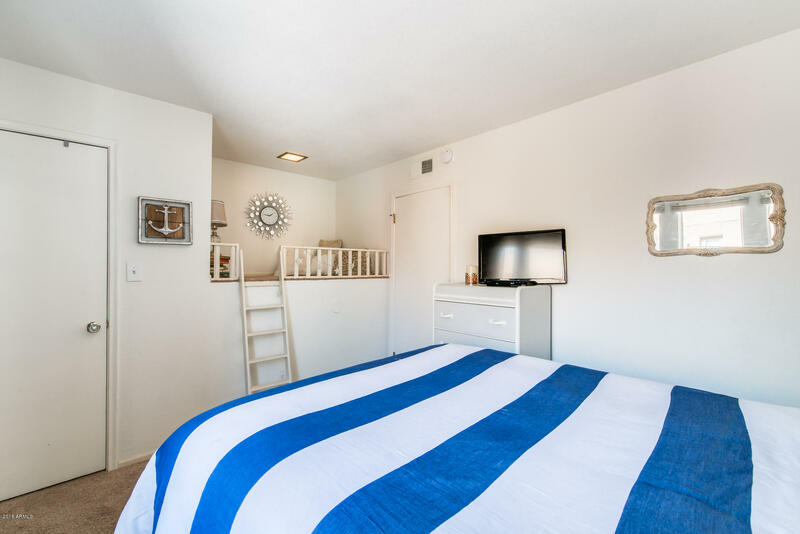 Up the stairs are the two large bedrooms, one hosting a great wood accent wall and the other with a great little nook for reading and relaxing. 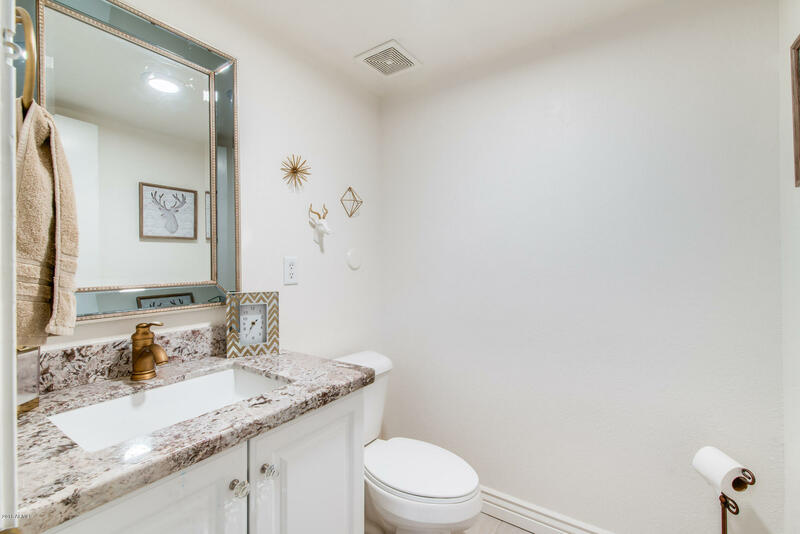 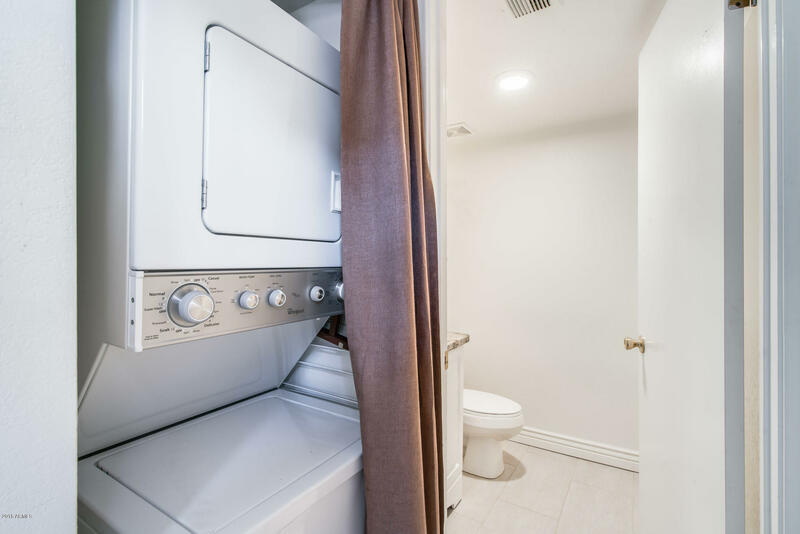 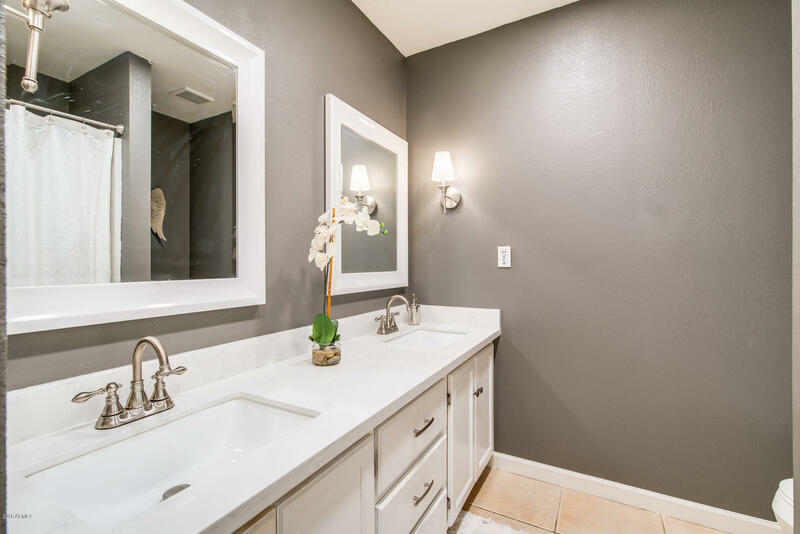 The shared hall bathroom on the second floor has a stunning white granite dual vanity and white cabinetry. 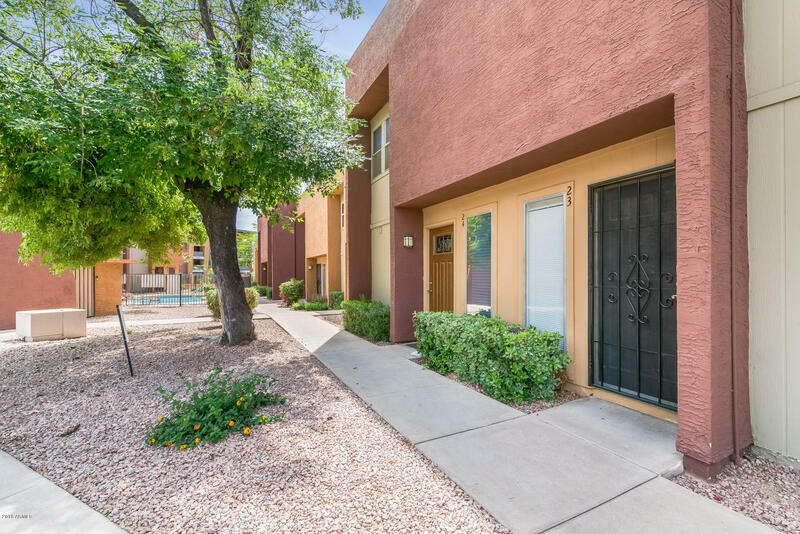 This is an amazing find that is going to go fast so schedule your appointment today!